ED has filed a plea before a special court of the Prevention of Money Laundering Act seeking to declare Nitin Sandesara, Chetan Sandesara, Dipti Sandesara and Hitesh Patel fugitives under Section 4 of the Fugitive Economic Offenders Act. The Enforcement Directorate (ED) on Friday moved a special court in Delhi to get declared the owners of Gujarat-based Sterling Biotech group, charged in an alleged Rs 8,100-crore bank loan fraud case, as fugitive economic offenders under a new law, the agency said. "All four are promoters of the Sterling Group and have fled the country to avoid criminal probe against them in a Rs 8,100-crore bank loan fraud involving a consortium of banks," a senior official said. The agency has also sought immediate confiscation of the assets, in India and abroad, worth over Rs 7,000 crore of the Vadodara-based business family as part of the action under the new law. The court subsequently issued notices to all of them. Arrest warrants have been issued by a court against the four under the anti-money laundering law. The agency filed a fresh charge sheet in this case, under the PMLA, early this week and had charged the Sandesaras and others with money laundering and siphoning bank loans. Investigation revealed that the promoters of the group laundered the proceeds of crime through various layers and routed the funds outside India. They incorporated more than 100 entities in various countries like UAE, USA, UK, British Virgin Islands, Mauritius, Barbados and Nigeria among others. 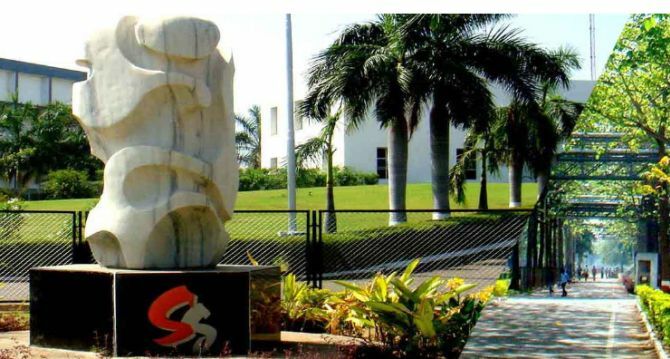 "Their main entities outside India include Richmond Overseas, Sunshine Trust Corporation, SEEPCO BVI, SEEPCO Nigeria, Atlantic Blue Water Services Pvt Ltd and few others," the ED said. It said the Sandesaras have business interests, largely in the oil sector, in Nigeria. Investigation shows that Sandesaras are engaged in oil business in Nigeria and have numerous assets there. Their assets in that country include oil evacuation and transportation equipment such as oil blocks (Durga 1-4), barges and ships (Tulja Bhawani, Varinda) among others. "Some of their vessels are also registered in Republic of Panama. Besides, they have immovable properties in British Virgin Islands. “All these properties are sought to be confiscated under the Fugitive Offenders Act. Further investigation is ongoing to identify their other properties abroad involved in money laundering," the ED charged. It alleged that the pharmaceutical group and its promoters laundered funds obtained through bank loans by "incorporating" shell or dummy companies, conducting circular transactions to artificially inflate turnover of flagship companies, claiming higher depreciations on non-existing machinery, artificial share trading with the use of shell companies and layering and laundering of proceeds of crime within India and abroad through the web of shell companies. The ED had filed a total of five charge sheets, also known as prosecution complaint, in this case and had said that apart from the Sandesaras and their associates it was probing the role of "public officials" for suspected bribery of about Rs 140 crore in this case. The agency has arrested four people in this case till now-- Delhi-based businessman and alleged middleman Gagan Dhawan, company director Rajbhushan Dixit, ex-Director of Andhra Bank Anup Garg and an alleged aide of Dhawan, Ranjeet Malik. Assets to the tune of Rs 4,710 crore have been attached by the ED in this case till now even as the agency said it has seized Rs 15 lakh documents as part of its probe.